I ate tiramisu for breakfast this morning. I also ate tiramisu for lunch. You’ll be relieved to hear I had a salad for dinner, though. With a side of tiramisu. It’s possible that I might be a little addicted. I can’t help it, though — I’m obsessed with the product of my latest recipe experiment. It calls my name every time I open the fridge, and frankly, it’d be rude for me to ignore my dark Italian lover. I somehow justify my indulgence by convincing myself it’s a healthy dish — this tiramisu, after all, is vegan and gluten free. Yes, you read that right. 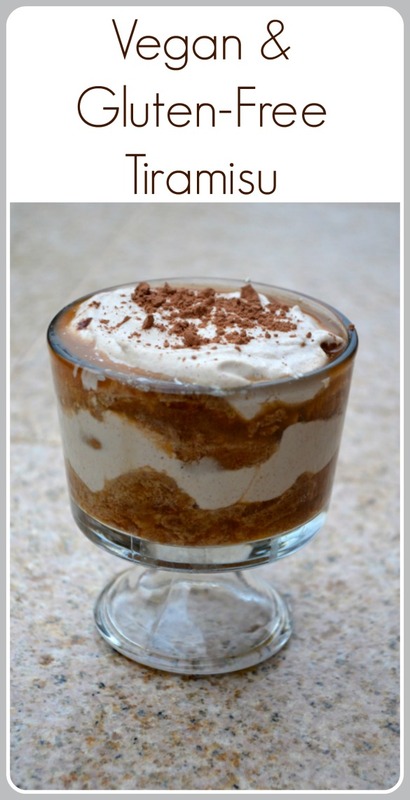 A vegan and gluten-free tiramisu that tastes good. Turns out, it’s possible! This recipe was actually what we call a “MacGyver Meal” in my house. 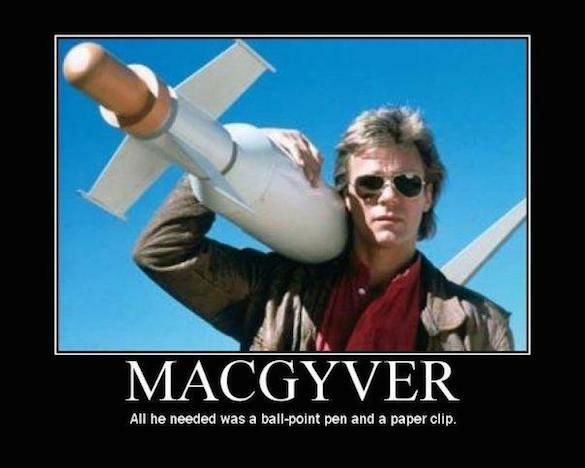 You remember MacGyver, right? The TV show with the mulletted dude who managed to save the world every week with little more than a paper clip and a g-string? Yeah, that guy. Turns out his improvisational approach works really well in the kitchen. Up next: World peace through profiteroles. A few days ago, I was rummaging through my kitchen to gather ingredients for chia pudding. As I worked, I sipped on my coffee, which got me thinking about how good coffee in general was, which got me thinking about ways I could have more coffee, which got me thinking … why the hell am I making chia pudding when I really want coffee pudding? And that’s when it hit me: tiramisu. I had almost all the ingredients I needed right in front of me. Chia pudding is simple — soaked cashews, coconut milk and chia seeds combined in a blender. But if you leave out the chia seeds and reduce the milk, you can create a fluffy cashew cream, much like the sweet mascarpone filling of the classic dessert. Before and after. Both are cashews. Both are delicious. With a few more items from my kitchen — dates, vanilla, cookies from Trader Joe’s, a couple shots of espresso and cocoa powder — I MacGyvered a vegan, gluten-free tiramisu. When we did a taste-test, Neil was surprised by my ingenuity. Hell, I was surprised by my ingenuity. Both of us, however, were really surprised that the tiramisu tasted amazing. Not “amazing-for-vegan-gluten-free-crap-I-threw-together.” Just amazing. Though the classic tiramisu recipe is neither vegan nor gluten-free, the flavors were spot-on. Still, I wonder how the recipe would have turned out if I actually planned to make gluten-free tiramisu with a more traditional cookie choice --- ladyfingers (which are traditionally used in a classic tiramisu recipe) instead of the Trader Joe's cookies. But when I looked online, I couldn't find a single recipe for vegan, gluten-free ladyfingers. If you know of one, give it some link love in the comments. I'd love to give it a try! 1 box Trader Joe's Allergy-Free Soft-Baked Snickerdoodle Cookies. 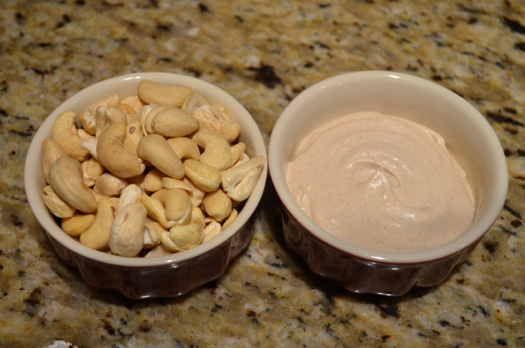 In a food storage container, cover cashews with water. Soak overnight, then drain and rinse. Combine cashews, coconut milk, dates and vanilla extract in blender on highest setting until very smooth and fluffy (about two to three minutes), stopping several times to scrape down the sides with a spoon. Line the bottom of two parfait dishes (or four small ramekins) with cookies. Spoon espresso over cookies until damp. Top with a dollop of cashew cream, then a light sprinkling of cocoa powder. Repeat the cookie-espresso-cream-cocoa layer at least once (more if needed to fill the serving vessel). Cover all bowls with plastic wrap and refrigerate at least three hours. Before serving, dust the top of the dessert with more cocoa powder (because really, there is no such thing as too much). The parfait dishes I used for this recipe were the perfect "sharing size" for this dessert --- though, I must admit, I wasn't too good about letting Neil know there was a second dish in the fridge. Like I said --- addicted. Better yet, you make the tiramisu --- I'll bring the coffee. Yes, although not as elaborate as yours. My smoothies are MacGyvered about 50% of the time, and they turn out to be some of my best creations. I just use up a little of this and add a bit of that, and, voila! Deliciousness. This really isn’t vegan if you use chocolate. To make it vegan, use Carob powder instead. This sounds like a dream come true! I can hardly wait to try it!